nice post - must admit, i was most disappointed to see they don't intend to model infantry. damn - those are the kind of 'steps forward' i would most appreciate. if you're going to the trouble of epic-looking scenery, one would think it would be logical to fill said scenery with epic-looking objects, vehicles, and yes, even people. but what if i want to frag bomb allied soldiers, then...? 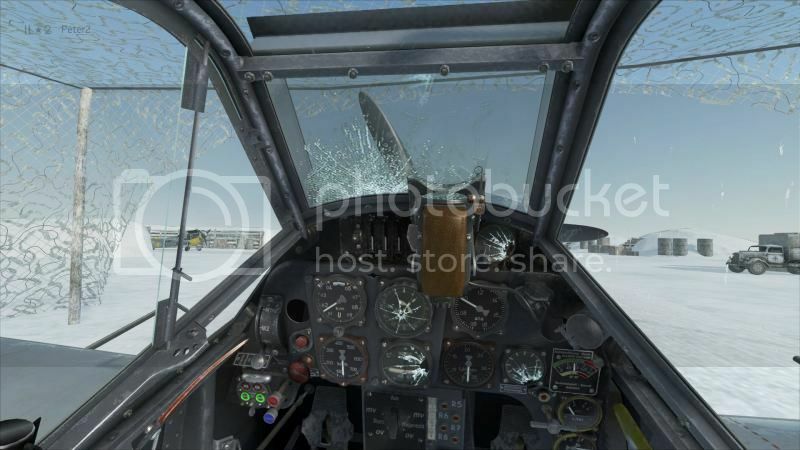 "Lets put in a FPS mode into the Combat Flight Sim!" Ok, that'd be pretty cool in a way, but so much re programming, this thing, that thing, modelling, sounds, etc... No one would actually want to do it, but if two people bail out, there's a way to end the match once and for all... Hehehe. But whenever they talked about him, they always had a slight smile on their faces.. And that, perhaps, maybe your answer. sure, i think an FPS element would be cool, but that is far from what i'm asking. really, we need some infantry dudes running about to bring life to the battlefields. there's no need to be super-detailed, or have them affecting gameplay - just some eye-candy, is what i'm after. i know it's a flight sim, but it's time to kick it up a gear - one flaw of most modern flight sims is the clinical battlegrounds, with hardly any sign of life other than your designated targets. ...but that is far from what i'm asking. I meant it generally, not just you Malone, apologies. And yeah, Jane's WWII fighters had crew running frm vehicles after you blew them up, you could even strafe troops and single troops.. You even had deers you could shoot!!! I remember editing the config and adding Deer density to like, 100, and there were a bunch of deers all over the place, and you could shoot them, blow them up and all.. MAHAHAHAHA! 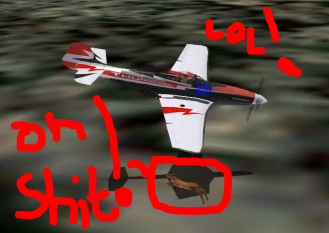 And on one of my videos, there's a near miss with a deer! You gotta see that! cockpit gets a little re-adjustment. WIP. I guess they will tune it in time. Thanks! I saw that discussion at the new IL-2 website as well... some people want that to be fixed as well. I still would like to see infantry support... it would make things more historically authentic. 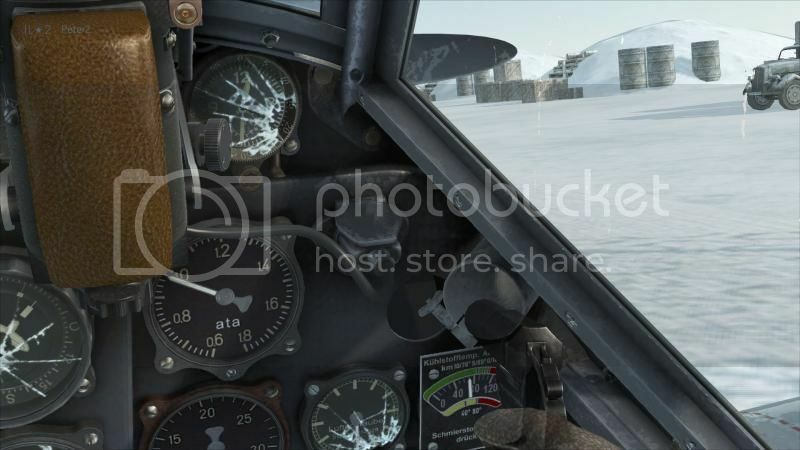 If the concern is that there will be a graphical representation of people being killed... c'mon, this is a "combat" flight simulator... how can it be OK to shoot a more lifelike human being in medal of honor, red opera, and a multitude of other ground 1st person sims, but it is not ok to do it from the air? the idea of infantry is for the immersion factor especially in the eastern front... it was fought close to the ground. But alas, it is up to the developers. Why can't everything be Rocket Propelled! 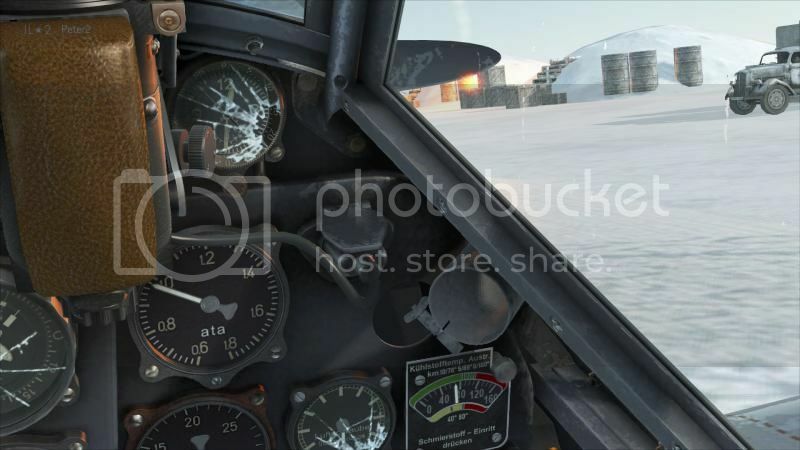 IL-2 1946 has little peoples that run from the trucks when you strafe them. Why can they make the "Troops" an small squad of of like 5 to 10 of these peoples that are treated as (to the game engine) as one truck or some thing. when you strafe the "squad" and destroy it it changes to a bunch of guys lying about the battlefield. I'm sure the game engine could handle a bunch of "trucks" in a large group. we have seen it already. This might even work in IL-2 1946.